The entertainment industry has once again joined together to lend support to the MDA Show of Strength Telethon, benefiting the Muscular Dystrophy Association. The 49th broadcast of the television fundraising event will air in primetime on ABC, Sunday, Aug. 31 (9 p.m. ET /PT, 8 p.m. CT/MT). 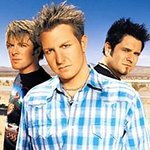 Delivering one-of-a-kind performances of their new, hit or classic songs are Grammy winners Rascal Flatts and LeAnn Rimes, plus Aloe Blacc, American Authors, Bret Michaels, Fall Out Boy, Jason Derulo, Matt Nathanson, R5 and Sara Evans. The long-standing Labor Day weekend tradition combines performances and celebrity presenters to engage viewers with powerful “stories of strength” and moving calls-to-action to help families affected by muscle diseases. Celebrity presenters on the telethon include Alyssa Milano, Brad Paisley, Chip Esten, Chris Powell, Jann Carl, Jordin Sparks, Josh Groban, Ke$ha, Kevin Frazier, Laila Ali, Ludacris, Nancy O'Dell, Pete Wentz, ABC’s Dr. Richard Besser, Susan Lucci, Terry Fator, Tom Bergeron and Victor Ortiz. Next week, telethon premiere parties will take place in communities in every state in the nation to rally MDA families, sponsors and volunteers, as well as to engage new supporters. Public service and promotional campaigns to help promote the show have already started to air. While the telethon has consistently enjoyed robust support from some of the biggest celebrities in show business, MDA says the real stars on the broadcast are the individuals and families served by MDA, including five families who will share their stories and give the public a glimpse of what it means to live with a muscle disease during the 2014 broadcast. MDA supporters are encouraged to visit mda.org/showofstrength to enhance their telethon viewing experience. On Sunday, Aug. 31, the site will have an online telethon tote board keeping track of all donations associated with the televised fundraiser, including those made by national sponsors, direct marketing donors and through calls, texts and online donations made during the broadcast. New this year, site visitors can submit their favorite MDA memories by sharing favorite stories and remembrances of how MDA and its telethon have touched their lives throughout the decades and years. The campaign is being tracked by the hashtag #MDAmemories and is being shared on MDA’s Instagram page and on mda.org. Additionally, visitors also can check out and share exclusive behind-the-scenes footage from the telethon with celebrities and MDA families and sign on to be a “Muscle Maker” for $11 a month. MDA social channels include Facebook at facebook.com/MDANational, Twitter at twitter.com/MDAnews, Google+ at mda.org/plus, Instagram at instagram/mda_usa and Pinterest at pinterest/mdanational.